Lepton Software is GIS/Location Analytics Company with specialisation into telecom sector with more than 20 years of experience. We are also a Premier Google Maps & Cloud Platform partner. 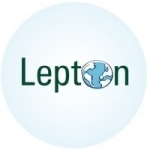 We are looking for an amazing, content-driven inbound marketer to own most of the marketing funnel for Lepton. You will oversee creating all blog content, diverting site traffic through content marketing and accomplish all other marketing requirements for the company. - Arranging events & webinar & responsible for generating buzz on online platforms. - Coordinate with Product Manager / Sales team to manage & publish blogs, white papers. - Run email campaigns for all the product lines at Lepton Software. - Plan and execute partner event, own event and participation at third party event for different product line. - Responsible for content designing and maintenance of website. - Use social media tools tactfully for achieving strategic goals & develop collaterals across product portfolio. - Creating Demo videos, presentation, manage marketing agency. - 2-5 years of experience in similar role would be preferred. - A Bachelor's degree is mandatory. - Knowledge of SEO and WordPress would be an added advantage.